After reading what the State of Rhode Island is doing about handling and/or dealing with “geoengineering,” everyone may want to move there, I would imagine. However, the other recourse is for everyone to have the same type of bill/legislation introduced in to their respective states by numerous members, preferably bi-partisan sponsorship, of their state legislature. 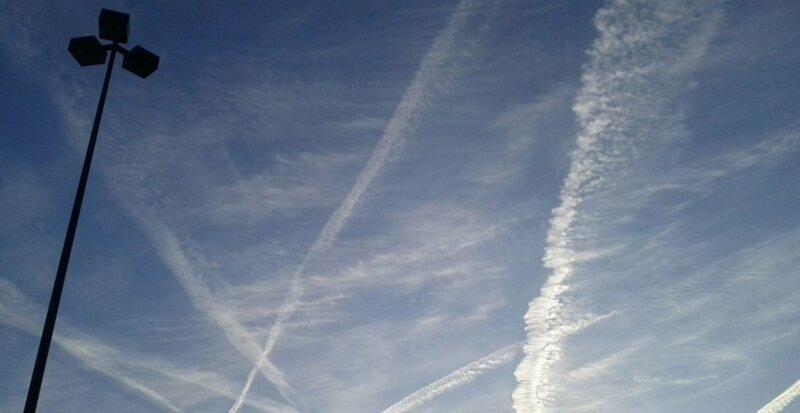 (a) “Geoengineering” is defined herein as the intentional manipulation of the environment, involving nuclear, biological, chemical, electromagnetic and/or other physical-agent activities that effect changes to earth’s atmosphere and/or surface. Proposed Section 23-23.8-3. of the Geoengineering Act of 2017 defines the scope of geoengineering to include a ‘laundry list’ of technologies, which may not be familiar to the public; or that those “technological advances” are considered as “intentional manipulation of the environment”! OMG, is that a wakeup call for everyone? Just to mention a few conditions from what’s listed in the bill. Economic losses too numerous to cite here; read the bill. Numerous other parameters are listed, but one thing mentioned is “chaff” defined as aluminum-coated fiberglass particulates, which all life forms breathe in! Alzheimer’s everyone? Because of the harm from geoengineering activities, special licensure must be obtained from the State of Rhode Island to engage in those activities. An environment impact review must be rendered. Penalties for violation are nothing to sneeze at: a fine of not less than $500,000 or imprisonment of not less than 190 days and/or both! This act would establish a system to regulate the intentional manipulation of the global environment, through various means, that are known as “geoengineering”. This act would also provide that a person seeking to engage in geoengineering activities would require a license from the director of the department of environmental management. Thank you, Representative Justin Price and the great State of Rhode Island legislature for being the way-shower, especially in the Planet’s time of extreme ecological devastation and great need. The above bill was introduced somewhat recently, March 24, 2017. It’s rather a “new” and a “local concept” for dealing with what’s going on above our heads. Let’s get it going and working through the legislative process in every legislature of all 50 great states of the United States of America. I have long been an opponent of Chem Trails! ChemTrails of last year were proof of the deliberate environmental poisoning occuring in front of our noses. When I pointed them out people shrugged and said they were “Normal”. Normal? I think people just don’t care. Hopefully the Rhode Island bill will pass and thank you for trying. to our State’s Legislature’s, concerning the Geoengineering Act of 2017 to stop the future extremely well planned Ecological Devastation of our Specie’s and Planet.